This guest post is brought to you from Hefty. I am happy to welcome Katie from Hefty to the Pinterested Parent today. Wear Red One of the easiest ways to celebrate Valentine’s Day is to simply dress your kid in red or pink. There are always shirts with hearts, too! Valentine’s Day Breakfast If you have a heart-shaped cookie cutter, then you can try cutting toast out in the shape of hearts. Just add some red jelly or fruit preserves for a touch of the signature Valentine’s Day color. Make Cookies for a Neighbor You and your child could make cookies together for an elderly neighbor. The neighbor will appreciate the thoughtful gesture on this holiday, and you and your son or daughter will have fun making the cookies together. You can give the neighbor the cookies on disposable dishes so you don’t have to worry about getting the plate back later. Decorate the House Take foam plates and decorate them by using crayons or cutting hearts out of red and pink construction paper. You can bind multiple plates together by using ribbon. Thread the ribbon through holes that you make in the lips of the plate. This decoration could then be hung up above a fireplace or on a wall. Make Cards Homemade cards will surprise your family and friends, and your little ones will love giving them out. Construction paper, colored pencils, doilies, crayons, glue, and stickers will all help to make fun Valentines. Author Bio: This is a guest post by Katie F. on behalf of Hefty®. Visit www.hefty.com to find products like trash bags and more that can help you out with your busy life. What a cute and yet simple idea! I so have to make my kids a heart breakfast! That looks so cute, AND so yummy! can’t wait to try it out! 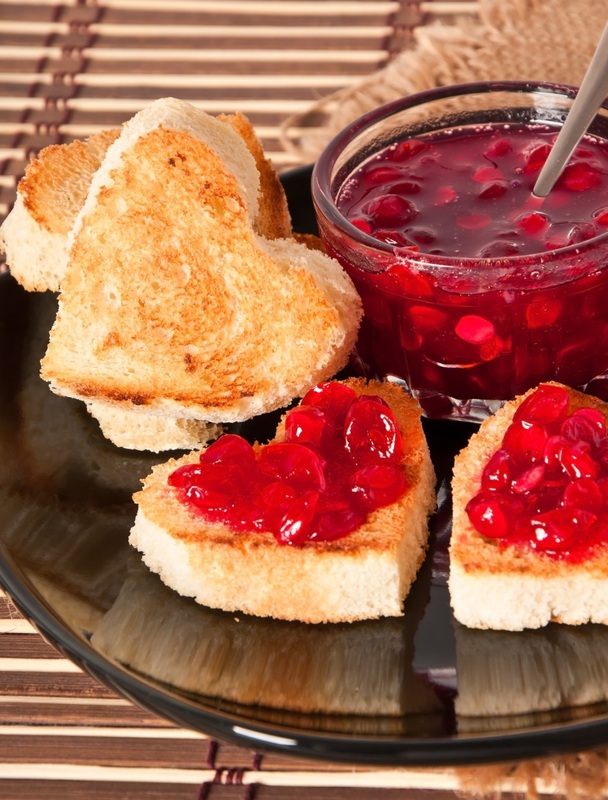 The heart toast is such a simple, lovely idea. My daughter will love it! That toast looks delicious! Such a simple idea, but so easy I might actually do it! Great ideas! Thank you for sharing I am Visiting from the Wakeup Wed Linky!! 🙂 Nice to meet you!